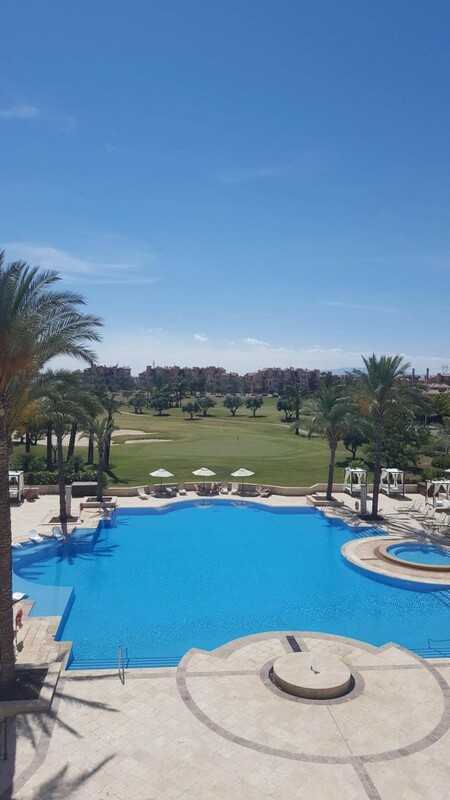 The region of Murcia in south eastern Spain provides some fantastic options to enjoy a great golfing getaway, I say that with confidence having just flown back from a 5 day golf inspection trip. A sun soaked region with an enviable mirco – climate ensures golfers will enjoy glorious sunshine on quality golfing fairways….. just remember to bring the sun cream. Tourism in Murcia is ever growing, not only for foreign visitors but also Spanish visitors who find the region a great holiday destination within Spain. Green fee sales in the region are on the rise too, with over 500,000 sold last year up from 390,000 in 2012. You can fly directly into Murcia San Javier Airport and you will have all the accommodation and golf options close by, meaning less time travelling and more time enjoying your golf break. 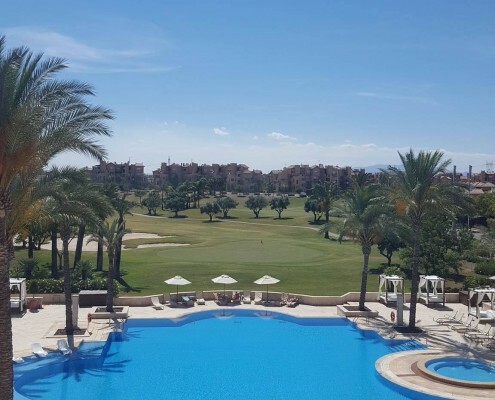 Muricia is home to two well renowned and top class golf resorts which have proved the most popular for golfers in the region to utilize which are Mar Menor and La Manga Golf Resorts. Along with these top class golf resort options, golfers may choose to stay in the town of Murcia to get a flavour of the local atmosphere or a little further out to Aguilas. Both of which give golfers a nice traditional Spanish town to explore along with great golf options. 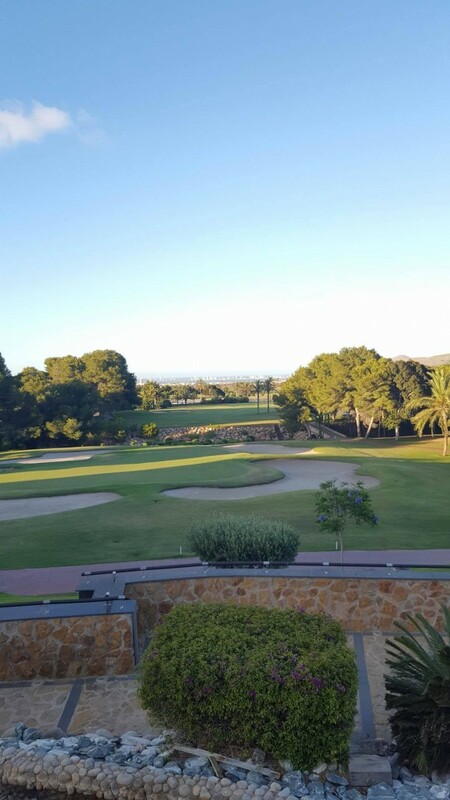 La Manga Golf Resort has been voted the best Golf Resort in European and straight away it is easy to why. With 3 top class golf courses on site which all rank in the top 100 in Spain it covers the golf exceptionally well. The 3 courses named the South, North & West provide plenty of variety when it comes to the golf too, The South course offers a stiff championship style golf test, with some great demanding feature holes throughout. A course which as hosted many professional events such as the Spanish Open on the European tour and one I really enjoyed. The North course is more playable and shorter in length, those looking to make a few birdies will prefer the North as it offers up some good opportunities. The condition is every bit as good as the south with nice putting surfaces and is very well kept. The West course is again shorter than the championship South but it is a more narrow tree lined course, a golfer must plot their way around and it has a more traditional Spanish feel to it. As you can see the three on site courses offer great variety. Off the course there are two accommodation options at the Resort, the Principe Felipe 5* Hotel and the Las Lomas village 4* on site apartments. 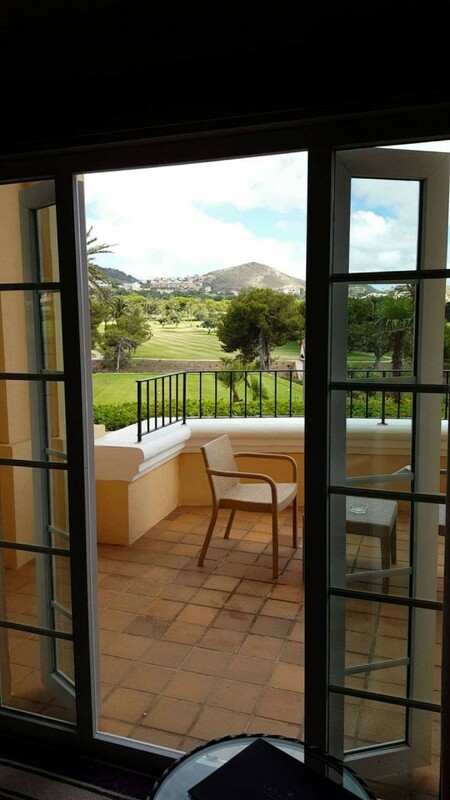 The Principe Felipe is located right by the North and South courses and it produces 5 star quality throughout, with many of the spacious comfy rooms providing picturesque views of the golf course. The hotel has a really nice pool area and restaurant outside, providing a perfect place to chill and catch a bite to eat post round in the sun. The hotel has all the facilities one would expect from a 5 star including a spa area with nightly entertainment also provided in the hotels piano bar. 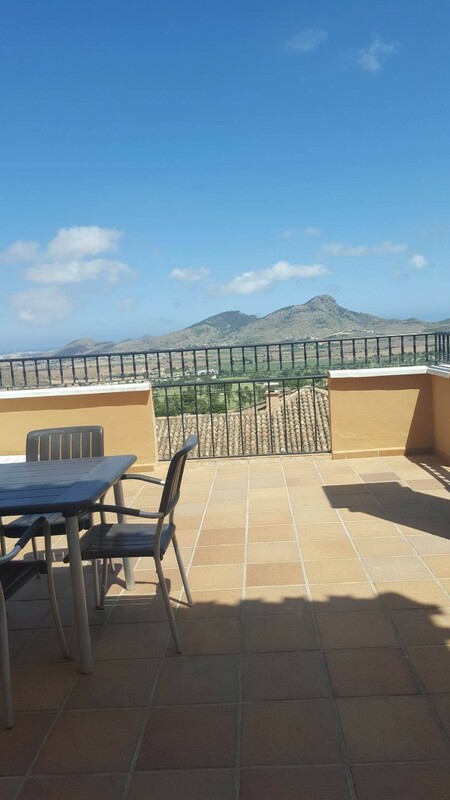 The second accommodation option is Las Lomas Village, it offers a choice of top quality apartments and serviced guest rooms, all tastefully laid out in a village style setting a short distance from the golf courses. The spacious 2 and 3 bed apartments offer some great value when shared. The resort runs an internal bus service to take guests to and from its various locations which runs from 7am until 2am. 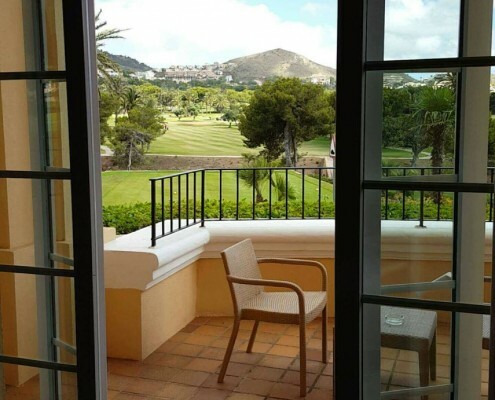 The sheer size of La Manga Golf Resort is hard to comprehend with 500 hectares of unspoiled nature which provides an unbelievable amount of high end facilities for the likes of tennis, golf and cycling and swimming. On site there is the all-important Irish Bar Mulligans among others and further afield for guest looking for a night away from the luxury Resort is the La Manga strip which has no shortage of bars and clubs for guests looking for a livelier nightlife. Like La Manga, Mar Menor is another quality golf resort with a hotel and on site apartment options to stay in. 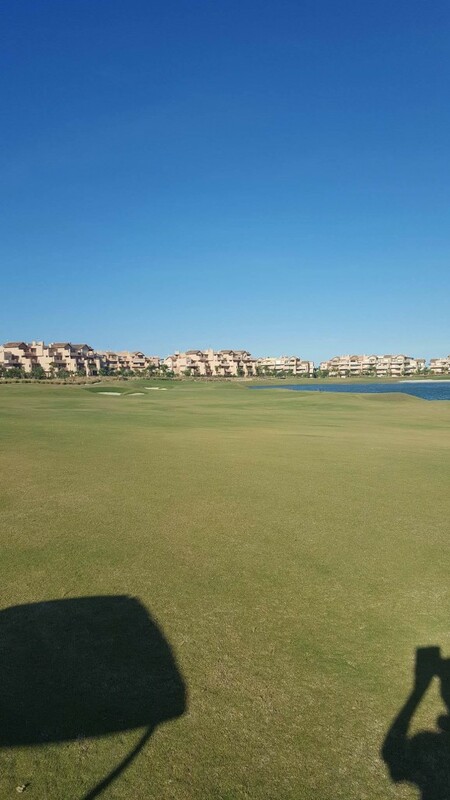 Mar Menor Golf Resort features one on site resort course and has another 5 local golf courses under its management which are all within short transfers run by the hotel and are provided within the package deals. The golf courses under their management umbrella are all very good quality with the Nicklaus designed El Valle & La Torre the highlight among the 5 courses on offer. I played the Mar Menor Resort Course which is really nice course where guests at the resort can walk to the first tee and also have the option to use the top class practice facilities before the round. The 13th, 14th & 15th were my particular highlight all built around a big lake with the on site apartments providing the backdrop. 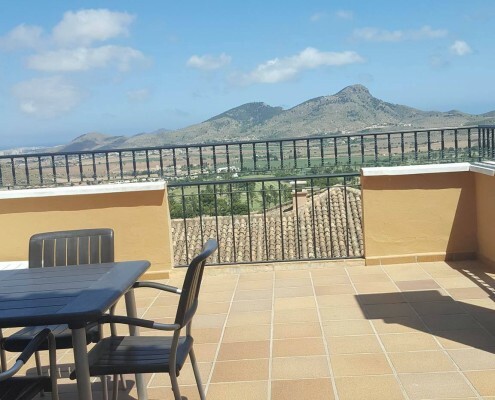 As with La Manga there is plenty to do on site with multiple restaurants to choose from, an Irish bar and supermarket for guests staying in the apartments. 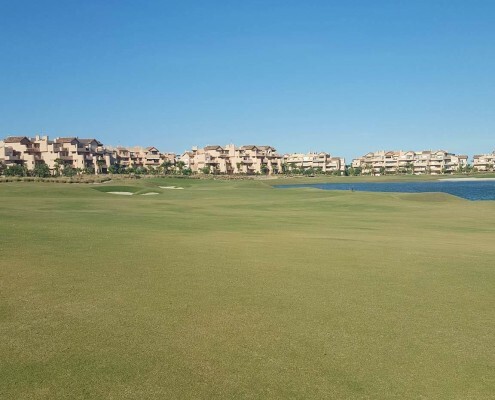 Mar Menor is a slightly cheaper alternative to La Manga however it still provides an ideal golfing getaway with its golf facilities and great service levels. Both resorts truly provide a golfers paradise in the sun and give great value for money. Away from the golf resorts, golfers may choose to stay centrally in one of the regions beautiful cities, such as Murcia and Aguilas. This type of golf package give golfers a taste of these local cities during their golf break along with playing some more traditional local courses such as Altorreal Golf Course and newly establish like Lorca Golf Resort during their stay. I had the pleasure of playing both, 9 holes at Altorreal which is a thriving members club, with villas and houses spotted throughout the course. The clubhouse had a really nice friendly feel to it with a number of family uses the facilities. While staying in Murcia there are a number of other courses which are only short journeys away with Hacienda del Alamo & Roda Golf Course being among the favourites. There are a number of hotels in located in the heart of Murcia city which allow guests to stay and explore its wonderful surroundings. I stayed in the TRYP Rincon de Pepe 4* which is ideal accommodation for golfers and delightful Hotel Cetina 3* also comes highly recommended, both give guests the perfect opportunity to play some great golf and explore the city of Murcia. 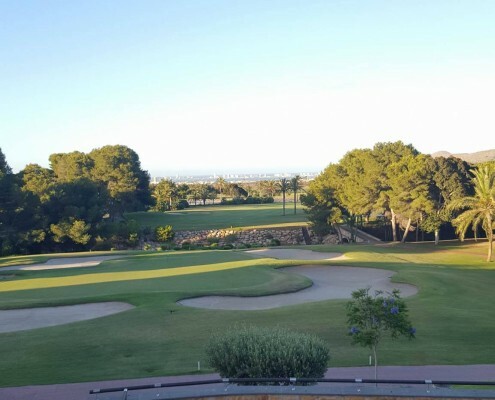 While staying in Aguilas, Lorca Golf Resort and Aguilon Golf Courses provide ideal golfing options as they are very close by and are good quality courses. During my stay in Aguilas I stayed at the Puerto Juan Montiel 4* Hotel which provided a perfect stay right along the coast line, the hotel itself was of a high standard with nice big rooms and included a walk way direct to the beach and a high class top floor spa area. These options provide really good value along with being able to explore these beautiful cities.